Brainwavz have been churning out new products for the past year with a ton of success and the company has always focused on value to the consumer whilst having a budget friendly slant to their product line. 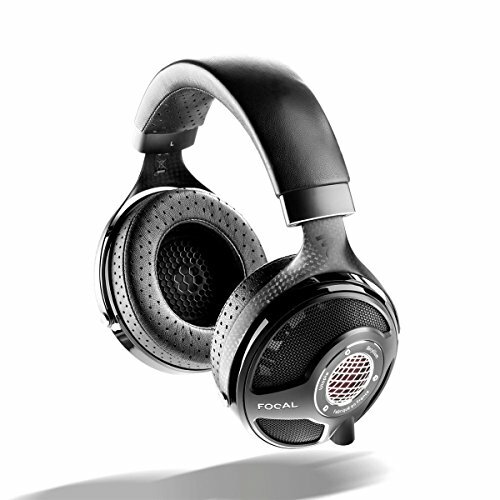 Now, for the first time, the company has stepped away from earphones and created an amplifier aimed at those that like to share their music. The AP001 comes in a modest plastic display packaging with good information and graphics relating to the product, its nothing fancy but gets the job done. On the inside sits the Amp, a short male to male 3.5mm jack to connect your player to the amp and a short mini USB cable that is used to charge the unit. 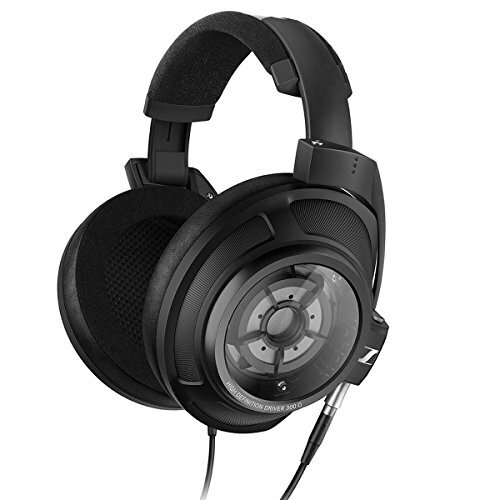 The amp is rated for 12 hours and I found myself getting around 14+ with one set of headphones and a little less when connected to 2 sets simultaneously, thats excellent. The AP001 itself is small in size and has a nice brushed face on the front and a more plain gloss plastic back. 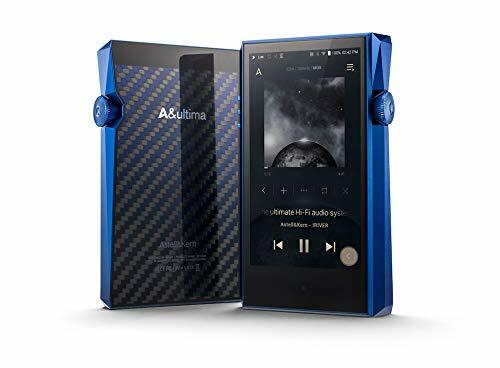 For comparisons sake the amp is just a about the same size head on as the popular Fiio E6 amplifier that the AP001 will be an obvious competitor to but is slightly thicker. One thing you will notice right away on the amp is that there is a slit coming in from the right all the way to a small cut out hole in the very centre. This is a clever little trick that they have built into the amp so that you can use the amp as a cable wind to prevent tangling., pretty cool. Operation couldn’t be easier as all you have to do is connect your music source up using the supplied 3.5mm jack at the bottom of the AP001 and then put your headphones into one of the two top output jacks. No need to press any buttons or flick any switches, it just runs as is. 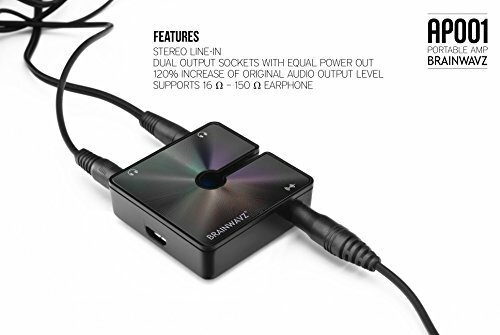 So one of the main reasons someone would want this little amp is obviously to provide ample power to headphones in a portable package and the AP001 claims to drive anything ranging from 16-160 ohm which should cover most areas. Sound was very good considering this little guy costs only $30, you will notice instantly that there is a bass boost present that is always on and it sounds excellent giving leaner sounding headphones more warmth and depth whilst turning something like the Final Audio Design Adagio III into ear smashing bassmonsters. Overall the sound is fun and energetic and an absolute bargain. 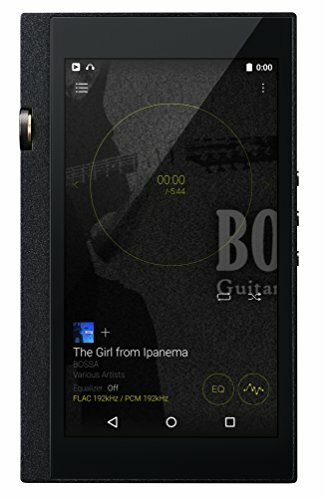 I was never a fan of the Fiio E6 as for the most part I would rather have something a bit cleaner sounding I found whether the FIIO's Bass boost was on or off it just sounded somewhat muddy. Head to head the sound on the AP001 is really up another level and the Fiio which comes with the added "benefit" of a bass control and in line volume buttons is outdone on sound. 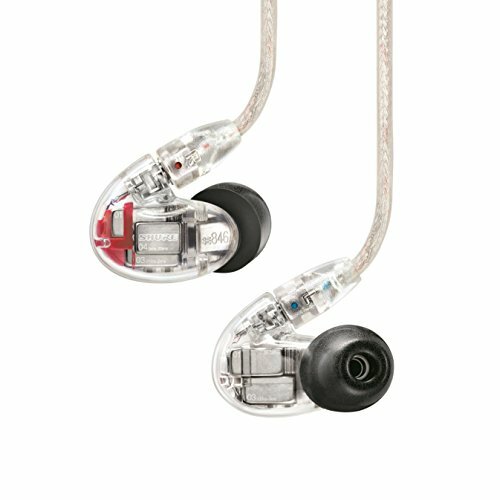 The Brainwavz unit sounds a cleaner and less congested and the tuning of the bass boost (which is always on) is just right. The AP001 with it has none of the features listed above but it does have another trick up its sleeve which makes it in my mind the more useful of products. 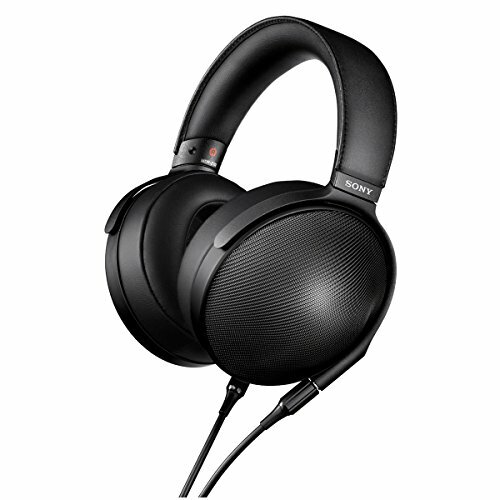 The ability to drive two sets of headphones at the same time from the same device without the need for a traditional splitter that will leave both users down on power. So who will use it? 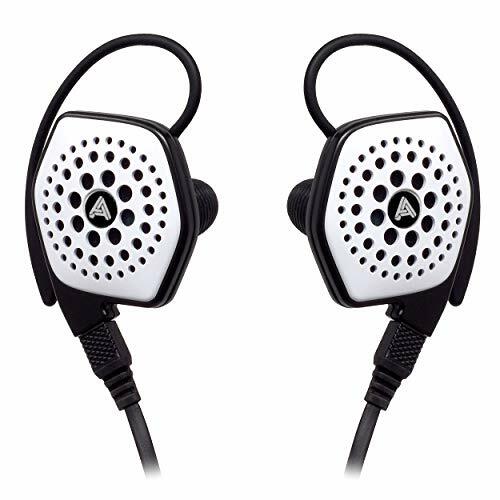 I can see a whole lot of people picking up the AP001 due to its good sound, wallet friendly price tag and ability to drive 2 sets of headphones with sufficient volume. Firstly there are the budget portable audio enthusiasts. 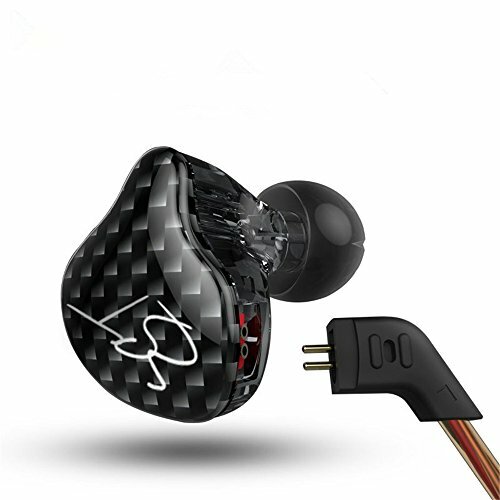 Sorry to say but even without volume control and bass boost (on/off) the AP001 takes the crown from Fiio at this price point. How about traveling with a friend or partner? Basically anyone who ever wants to share audio using 2 sets of headphones will love this little amp. At the end of the month myself an Mrs Stozz are heading off to Gambia and Senegal and I tell you I’m only bringing one amp and its going to be the AP001 I envision it getting quite a bit of use when traveling. Movies from the surface tablet on the flight, plugged into music on the inevitable long road trips and if we get any time away from the schools to visit the beach then it will probably come in handy their too. The other place this has potential is among kids, teens and young folk. No more of the classic line “you take the left one and ill take the right one” while at the same time you plug the ear unfurnished with audio with a finger. A world beater the AP001 is not but then again it cost a minuscule $30; sounds pretty damm good and has some unique features that a lot of people will like. My personal opinion is that audiophiles on a budget will love the AP001 but also If you’re the type of person that likes to share music with others you definitely want to check out the AP001. On a side note its great to see Brainwavz diversifying their product line even more as they have a habit of getting some of the best sounding gear in at a budget that suits those not wanting to spend a fortune in the hobby.